It is with great sadness, that we said goodbye to a dear friend and mentor Ann Prebil, who passed to her new everlasting life Monday morning, Oct. 23, 2017. Her death was not unexpected — she had fought an extraordinary battle for many years, but her passing is still a very sad moment for all of the Institute family. Ann was a tireless advocate for the CREIGHTON MODEL FertilityCare™ System and NaProTECHNOLOGY® and has been part of our Co-Developer team since 1976. As Co-Developers we worked very closely together for over 40 years — truly amazing years together! We can speak first-hand of her absolute dedication and love of this work. Her amazing efforts will bear fruit for many years to come. Ann has been an inspiration to us and to many others. Ann’s worldwide involvement was extraordinary and what she really loved to do. She was currently supervising students in Argentina, Mexico City, Poland, Europe, and the United States. She was on the Faculty for our Omaha and Mexico City Education Programs as well as St. Louis Mercy Hospital and Poland and participated in a number of Education Programs in Europe over the years. Ann also served as a Board member for FertilityCare Centers of America (FCCA), FertilityCare Centers International (FCCI), and was a member of the FertilityCare Centers of Europe (FCCE) organizing group. 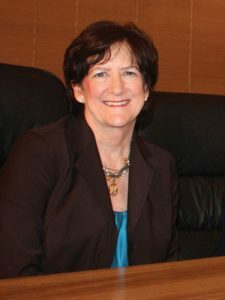 She was Chair of the AAFCP Accreditation Commission and took great joy and pride in the growing numbers of Independent Education Programs in the United States, Canada, Poland, Croatia, and Nigeria. We trust you will say prayers for Ann and for her family. Ann is now experiencing in a very special way Our Lord, the giver of all life. To carry on the memory of our co-developer and friend, the Pope Paul VI Institute is establishing the Ann M. Prebil Scholarship Fund. To contribute to this scholarship fund, please send check to the Pope Paul VI Institute Attn: Ann Prebil Scholarship or indicate your gift designation on your online gift. 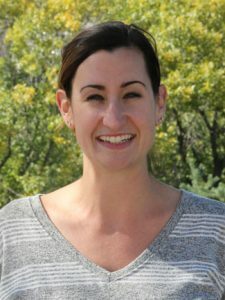 Dr. Terra Papik, D.O. from Lincoln, Nebraska is currently enrolled in the Pope Paul VI Institute’s Medical Consultant Program. Last Fall, Dr. Papik helped to start a new private practice called “Doctors for Women,” and her focus is on learning and practicing NaProTechnology. The Allied Health Programs of the Pope Paul VI Institute focus on the training of both Medical Consultants and FertilityCare Practitioners. These two types of professionals depend on each other, because proper Creighton Model charting is required for the delivery of NaProTechnology. FertilityCare Practitioners need Medical Consultants to provide treatment for clients, while Medical Consultants rely on FertilityCare Practitioners to teach their patients proper charting methods. Then a friend from church, who is a FertilityCare Practitioner, told Terra about the Creighton Model and NaProTechnology. She encouraged Terra to learn more about the system so she could treat women in Lincoln. “She had been sending most of her clients to Omaha for treatment,” Terra explained. While the Pope Paul VI Institute’s National Center for Women’s Health in Omaha has a program for seeing out-of-town patients, it is ideal for people to have a local Medical Consultant who can treat patients using medical NaProTechnology. A strong network of FertilityCare Practitioners and Medical Consultants helps to bring the Culture of Life to women’s healthcare. For more information on the Pope Paul VI Institute’s Education Programs, please visit www.popepaulvi.com/education.